The upcoming Board Meeting is taking place in Sofia/Bulgaria. 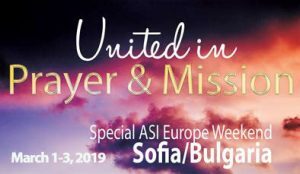 ASI Europe has a Mission and Vision that is focussed on Christ in the Marketplace! Read more on how Business can be done in this way! © 2018 ASI Europe | Made with love.